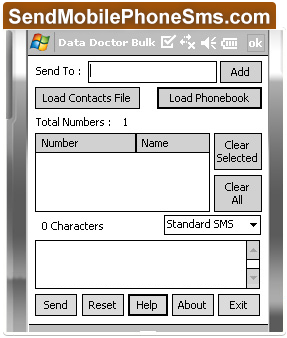 Bulk SMS sender software sends bulk text messages from pocket PC device. Bulk text messaging software is installed on your pocket PC device and does not require computer for sending bulk text messages. Bulk SMS sender program provides simple way to communicate with the people via broadcasting SMS from pocket PCs. This bulk text SMS sending application is beneficial for those who want to send bulk messages even when they travel or work. Provides easy way to communicate with customers, staff members and personal people. Without internet connection you can send bulk text messages via pocket PC device. Supports all national or international mobile phone networks. Useful for sending job alerts, price alerts, reminders and personalized messages. Why this software is important? 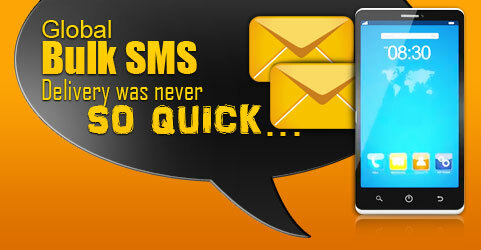 Bulk text messaging application quickly forwards bulk text SMS by pocket PC device. Bulk SMS sending program sends SMS in English and Non-English characters also. Provides inbuilt list wizard option to maintain the list of contacts or groups which may need during the message sending procedure. Software saves sent messages details that can be viewed by the users. Hotels and resorts and other business organizations.